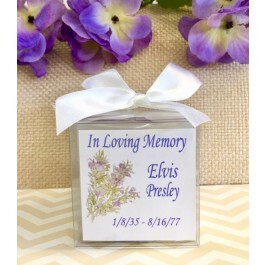 Each 2"x 2" Personalized Expressions candle has a frosted glass holder with a poured white tealight inside. 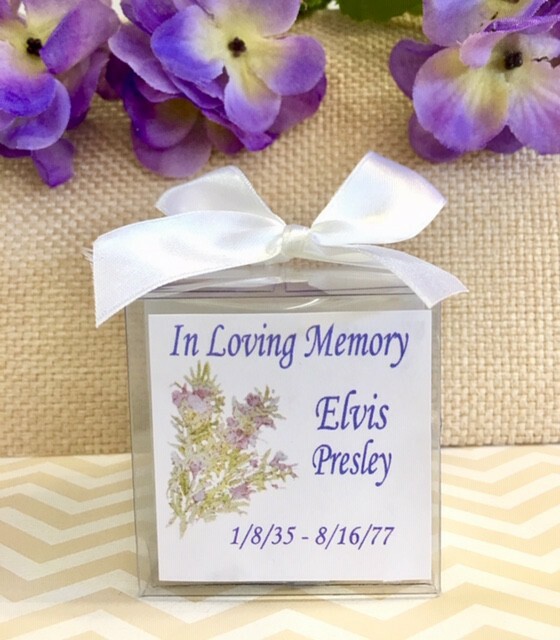 Each comes beautifully packaged in a 2.5" x 2.5" clear acetate box, wrapped and tied with a white satin bow. The box is perfectly suitable for you to easily apply the personalized label.